Lot:71082 PHOCAS, 602-610. 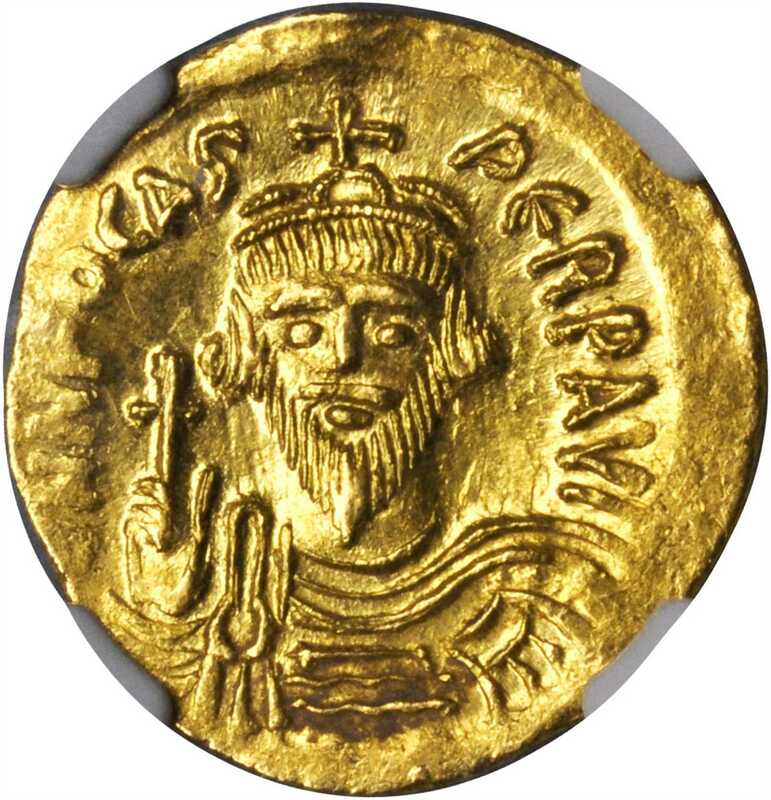 AV Solidus (4.45 gms), Constantinople Mint, 3rd Officinae. PHOCAS, 602-610. AV Solidus (4.45 gms), Constantinople Mint, 3rd Officinae.S-621. Draped, cuirassed and bearded bust of Phocas facing, wearing crown without pendilia, holding globus cruciger; Reverse: Angel stands facing, holding globus cruciger and long P-cross topped by Tau-Rho, "N" in right field. Bold portrait with attractive luster.NGC Ch AU, Strike: 4/5 Surface: 4/5.